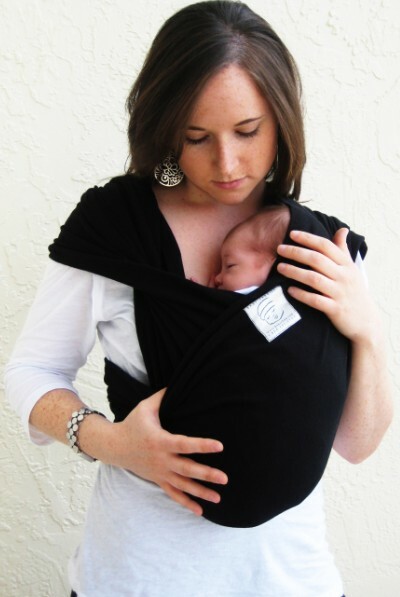 One question I get a lot, especially from new moms/moms to be, is what is my favorite baby gear? I've put together a list with pictures to share, and then at the bottom, I've listed some other items that are great to register for. And for those on Baby #2, I've got some new favorites to share too! 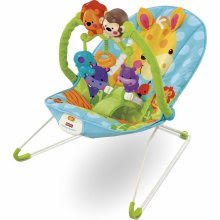 First up, the bouncy seat. Bouncy seats and swings often get mixed reviews from moms, but both my boys loved this bouncy seat. Another question I often get is "how do find time to shower/do your hair and makeup?" - this is the answer. It buys me a good 30 minutes of happy baby time in the morning! Here's another controversial item. It's the JJ Cole Bundle Me. Some people won't touch them with a 10 foot pole, others swear by them. I have one for Brody and I love it. It's great when I am running errands and it's FREEZING outside. It doesn't fall off like a blanket would. Oh, and it is good for keeping grabby hands off of your newborn! You'll see 2 strollers on this list. I'm a big believer is 2 strollers, because it's what works best for us. 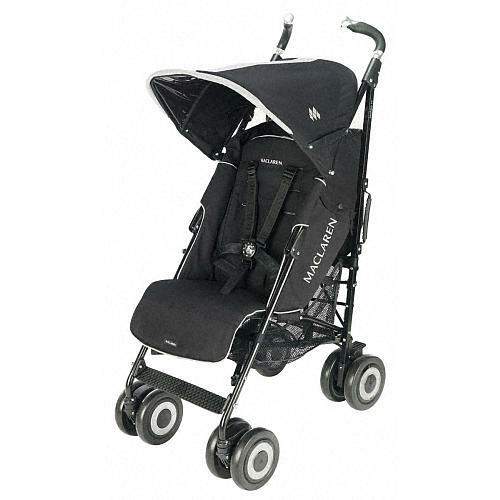 We travel a lot and so having a light weight stroller like this Maclaren is awesome. I have a Maclaren Quest (single) and a Maclaren Twin Techno (double). LOVE THESE! Here's my heavy duty stroller. 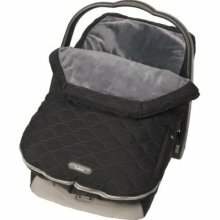 It's the Chicco Cortina (and also, the Keyfit infant seat). If you know me IRL, you know I research things to death. That was incredibly true when I was pregnant with Brayden and looking for the perfect travel system. This is it ladies! At least for us anyway. 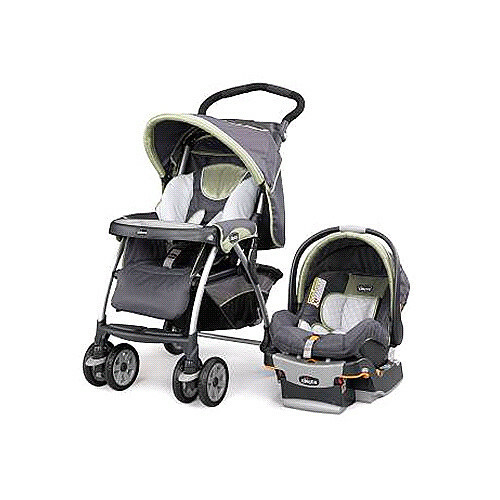 And I also own the double version of this stroller, the "Together." 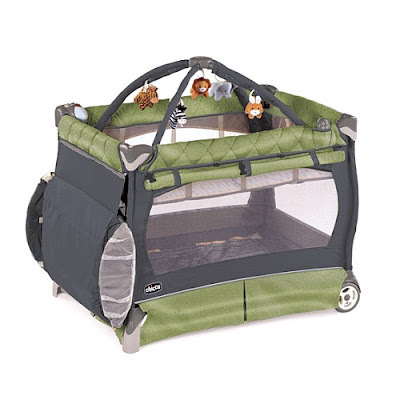 This is a Chicco pack and play. When Brayden was a baby he slept in this and now Brody does because their rooms are upstairs and ours are downstairs. I am a huge klutz which is why we don't put them in their rooms until they sleep through the night. It would not be good if I had to walk up 20 stairs twice in the middle of the night! Here's our highchair. 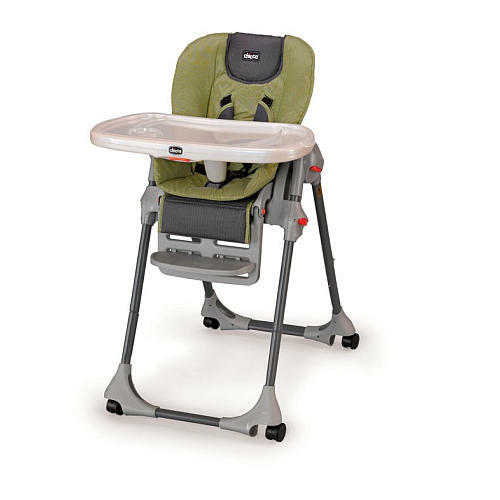 Well, we also have a booster style one for Brayden that goes in a regular chair. But this is great for younger babies because the whole thing is washable, and the fabric is coated so you can wipe it down easily. It also comes with TWO tray covers which is great. Slings...another thing not everyone uses. I have two that I love. First up, the Baby K'tan. 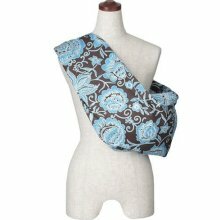 It's like a Moby but a LOT easier to use with a LOT less fabric! And then I have a Hotsling - it doesn't come easier than this. My mom bought this for Brody and he loves it. 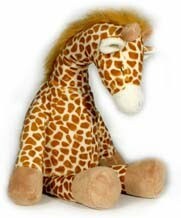 It's a giraffe that plays white noise. It's great for getting a newborn to sleep! Cloth diapers to use as burp rags. Sure, you'll get plenty of pretty ones as gifts, and those are great for public use. But when you are at home, a cloth diaper is so much easier, and if you have a spitter or reflux baby, trust me, they come in handy! There are days when we go through 10 burp rags. Dr Brown's bottles. Yes, they are a PAIN to clean, but worth it if you have a reflux baby. A play gym. Both my boys loved their gym! Gumdrop pacis - they are the BEST! Paci clips. You'll see these in my pics of the boys (Brayden when he was much younger). It keeps the paci from ending up on the ground 300 times a day. Diaper bags: I have several, because I got a few as gifts. I've got a large Coach bag that is totally coated in pvc and easy to wipe down. I've got another great bag that I need to check the brand of, and then a bag that has each boy's name embroidered on it. The ones with their names are GREAT for church since all of their stuff has to be labeled. My #1 piece of advice is find something wipeable/washable. PJ's: I prefer ones with zippers! It's soooo much easier (especially if you are blind like me) to zip them up in the middle of the night as opposed to snapping them up. Some people use the gown pj's (my mom did!) but they just aren't for my babies. They are too wiggly and end up with it bunched up around their tummies! Anyway, I hope this is helpful. Everyone is different and everyone prefers different things! 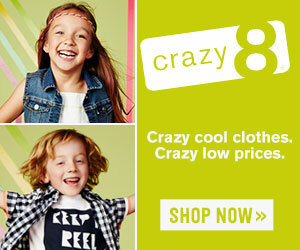 These are just the items we found most useful/effective for our boys! Feel free to ask questions or tell about YOUR favorite item in the comments!